Remember the cute orange concept car that Honda showed off at the Philippine International Motor Show last year? Everyone knew it was a signal that the all-new, second-generation Brio is arriving soon. What people didn’t know is “soon” means this April. With the Manila International Auto Show looming near, April is already a busy month for motoring. Sadly, for enthusiasts, two of the most highly-anticipated vehicles won’t be present. 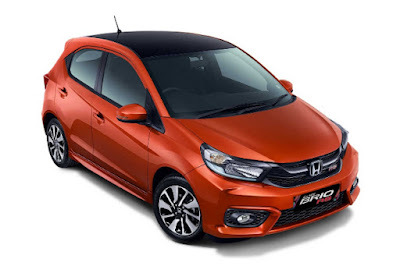 Mazda already showed off its all-new Mazda3 last week and now, Honda’s following suit with the all-new Brio which is dropping in the last part of April. Shown off at the Gaikindo Indonesia International Auto Show last year, the Made-in-Indonesia Brio promises a “above-class feel.” It gets styling cues close to the current-generation Mobilio, down to the squarish headlights and angular front-end. It will also swap out the glass tailgate for a more conventional one. Based on the teaser photo, it looks like Honda Cars Philippines will release the RS variant and with that, it’ll get special bumpers and larger wheels. Interestingly, it looks like they’ve opted to remove the black roof package. Designed for the Indonesian Eco Car Program, the Brio there gets a 1.2-liter 4-cylinder engine making 90 horsepower and 110 Nm of torque. With those sort of power figures, HCPI could very well just decide to keep this engine, or they can opt to bump it up to a 1.3-liter to mirror the previous-generation model. Honda is also expected to keep Brio as a safety leader in its segment with features like airbags and ABS with EBD fitted as standard equipment. I hope their prices would not stray too wide with the Indo market. the top of the line rs cvt price in Indonesia is 191,000,000. rupiah or idr. it's equivalent in peso after conversion is 708,194. pesos. With the Brio coming in, will the sedan (called the Honda Amaze), which is built in India, follow suit with the Brio hatchback? And although not yet launched, it would be interesting to see what would happen to the Honda Mobilio and the Honda BR-V (since it's based on the Honda Mobilio) in their second generation (if they will have one).